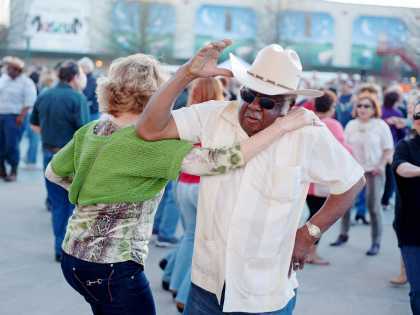 Welcome to Lafayette, LA the heart of Louisiana’s Cajun & Creole Country where they’re many ways to laissez les bons temps rouler or as we say it let the good times roll. 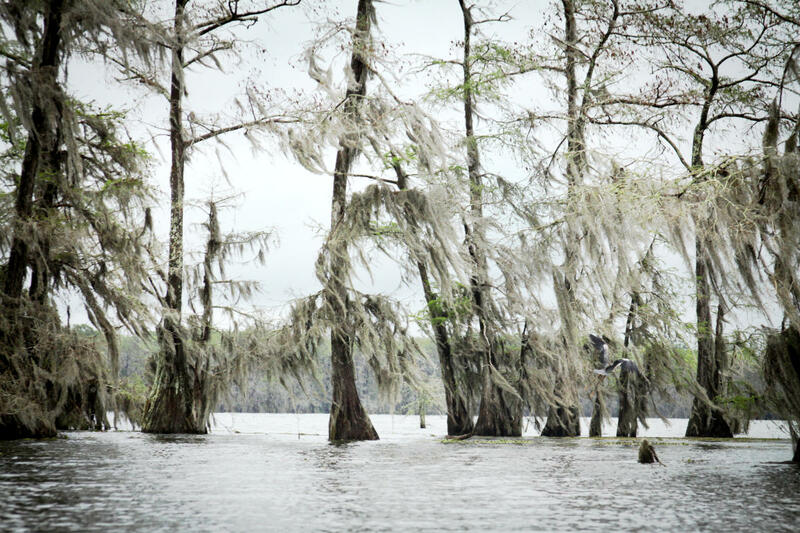 Lafayette, LA’s an area known for its swampland dotted with moss-draped cypress trees teeming with wildlife. With plenty of outdoor adventures it’s no wonder people are heading down south with a smile on their face. Just kick back, relax and let us help plan your outdoor escape to the Happiest City in America. 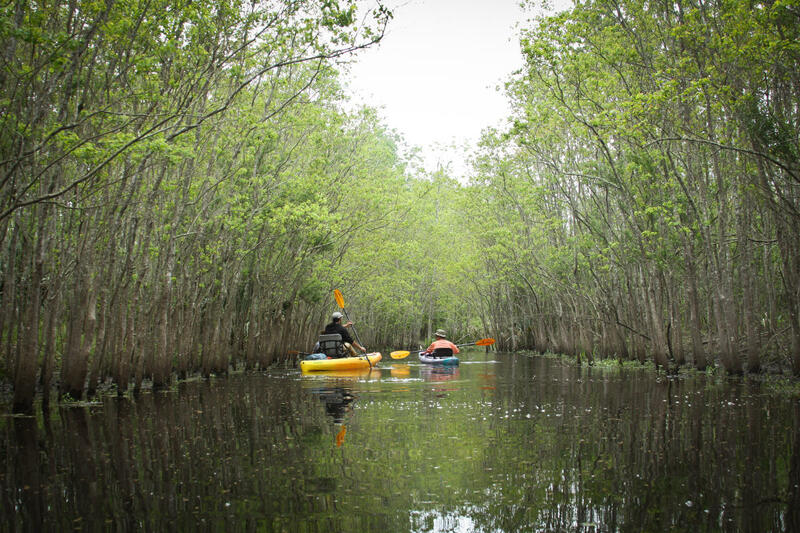 The Vermilion Voyage, March 22-25 is a three-day overnight paddle down the Bayou Vermilion launching from the Acadiana Park Nature Station to Palmetto Island State Park. 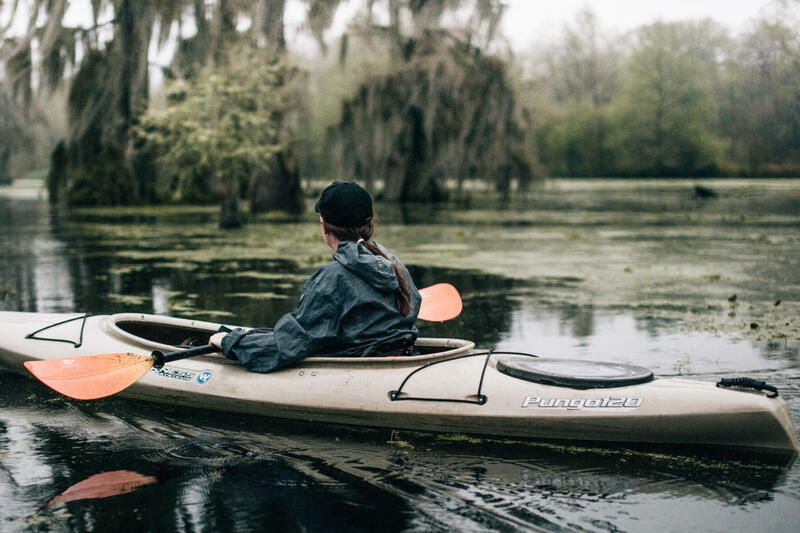 Participants will have the rare opportunity to consecutively paddle just over 50 miles of the Vermilion through Lafayette and Vermilion Parishes. For more information or to register, click here. This route takes you on a beautiful loop through the Indian Bayou portion of the Atchafalaya Basin. Located within the levees north of Henderson, this area features a winding narrow bayou with small cypress and a variety of other growth. 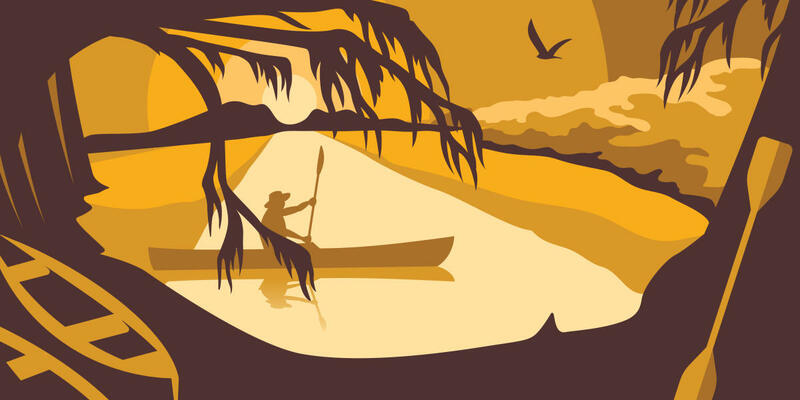 There are currents that run through this bayou system – and as you paddle the loop you will find that you may paddle both upstream and downstream. 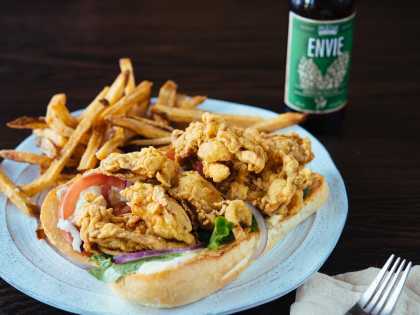 Follow the historic Bayou Teche from Arnaudville to Breaux Bridge. This 15.5-mile route is challenging for a day trip but do-able for most paddlers. You’ll pass beautiful trees and houses on your trip downstream to Breaux Bridge. 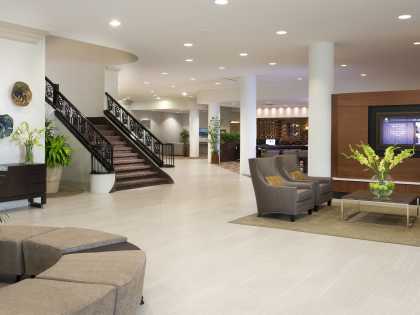 Once you arrive, you may want to eat in one of the great local restaurants or just hang out and soak up the culture. This 9.5-mile section of the Bayou Vermilion Paddle trail will treat you to a windy path through the trees on your way from the Nature Station to Vermilionville. Both ends of this section feature beautiful kayak launches that make it easy to get in and out of your paddle craft. 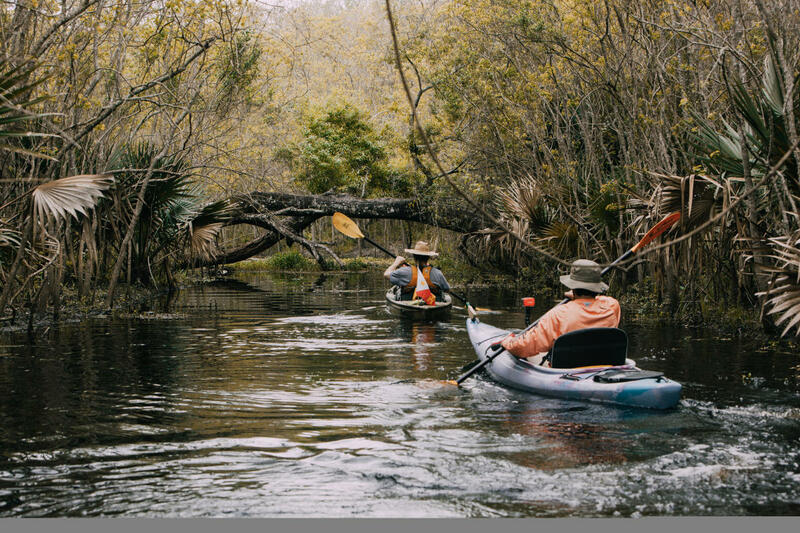 Along the way, you will pass the intersections of the Ruth Canal (which provides a side trip to Lake Martin) as well as Bayou Tortue (providing a side trip to Lake Charlo). Lake Martin is owned by the Nature Conservancy and is open year round and has free admission. It is a wonderful place to visit for all types of wildlife viewing. It is only 7 miles from Lafayette, LA. Nesting season begins in early March and ends in late June. The best times to visit are during April and May. There is a trail just off of Rookery Road that leads to the best viewing area; however, the trail is closed in late May to October because of Alligator nesting. Rookery Road is open year round.